Prepare now so that if disaster strikes, your most valuable documents will be safe and accessible. Part of preparing for a disaster (whether it be flood, fire, earthquake, tornado, or hurricane) includes disaster-proofing your important documents -- that is, making sure that after a disaster you have the information and documentation necessary to speed the recovery process. Preparing in this way also means you can focus on personal safety when it counts, and not worry about gathering documents at the last minute. Here's a primer on what kinds of documents you might need in a disaster, where you should store these important papers, and how technology can help make the job easier. When disaster-proofing your documents, there are no hard and fast rules about what to keep where -- except regarding your will. The goal is to have everything in at least two places in case one is destroyed or inaccessible. Where you store each item will depend partly on when you expect to need it and partly on how hard it would be to replace. You are, obviously, very limited in what you can keep in such a small space. Most important is identification -- some form of government-issued ID, such as a driver's license. Also keep your military ID if you have one, your medical insurance card and physician contact information, and any important prescription information. Carry photos of your family members and pets -- they will improve your chances of being reunited if you become separated. You can rent a safe deposit at your bank or credit union for a small annual fee. A safe deposit box provides a high level of security. Even if the bank is affected by the same disaster you are, it is likely the vault would remain standing. It also gives you a safe place to keep non-document valuables, such as jewelry. On the other hand, a safe deposit box can be inconvenient if you want to access its contents frequently or at times when the bank is closed. It can also be problematic if you keep things in the box that you might need immediately after a disaster because the bank may be inaccessible. When deciding what to store in your safe deposit box, choose originals of items you are unlikely to need immediately and that are difficult or impossible to replace. One thing that should not be stored in a safe deposit box is the original or only copy of your will because the box may be "sealed" upon your death. Place a copy of your will and any instructions in the box. The box you keep at home should be fireproof, lockable, and light enough for you to carry. This is a good place to keep either originals or copies of things you might need immediate access to. It's also a good choice for records that must be updated frequently, that could be replaced if necessary, or that are too bulky to store in a safe deposit box. The disadvantages of a home box are that it can be stolen, and that it could be inaccessible if your home were destroyed or became off-limits while you were away. Store all contents of your home box, including a copy of your will, in sealed plastic bags so they cannot be damaged by water. If you have a safe deposit box, keep one of the keys here, too. If an attorney has prepared legal documents for you, he or she will, typically, keep a set of originals. 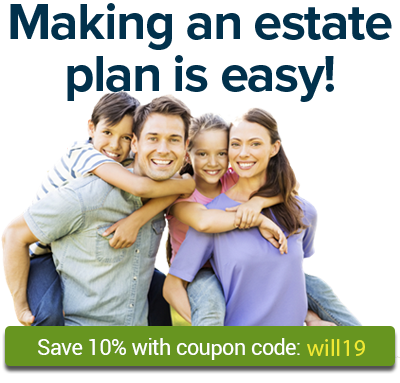 (For help creating a will or trust, see Nolo's Wills & Estate Planning area.) You may also be able to have your attorney keep your funeral or other instructions and your second safe deposit box key, if that is your preference. Keeping copies of important papers with a trusted person who does not live close to you is a good way to avoid having all your records affected by a regional disaster, such as a hurricane. Bear in mind, however, that you will not have immediate access to anything kept here. This may also be a good place to keep your second safe deposit box key, along with the box location and a list of its contents, the names and numbers of your attorney and executor, and any instructions you wish to provide. Technology provides some excellent tools for safeguarding your important documents. It also make it easier to access your records when you need to, and more convenient to update them.